For years, my husband and I have talked about starting a container garden. We thought it would be nice to grow our own herbs, fruits, and veggies. But, we never really got around to it. 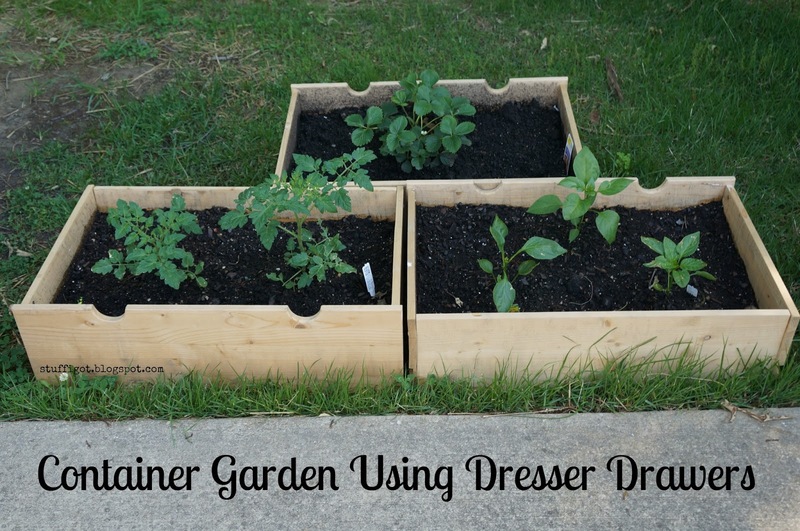 A few months ago, my husband told me to Google container gardens and dresser drawers. He had read about them somewhere and thought it would be something we could do. We had been keeping my husband's old dresser drawer that he used in college in our garage. He thought it would be perfect to use for a container garden. I didn't think to take a "Before" picture, but this is a picture from the Turtles and Tails blog. 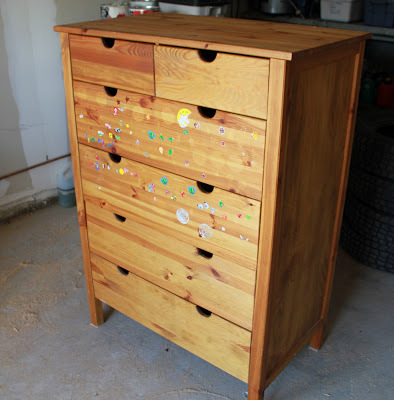 The dresser we had was similar in style, but didn't have stickers all over it! Ours also wasn't stained. 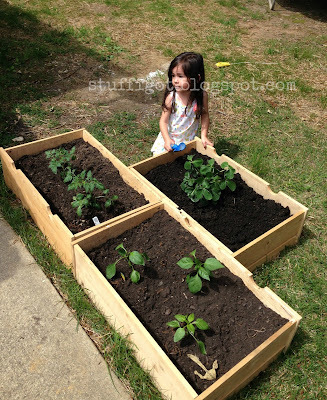 We used this article from Organic Authority to plan out our garden. We decided to put the garden in our backyard, at the end of our driveway. There's usually a lot of sun in that area and we were hoping it would deter people from using our yard as a cut through to get to the next street. The garden sits right in the path that they would take. The drawers we had were in pretty good shape. Since the wood was untreated, we didn't see the need to put down a liner at the bottom of the drawer. 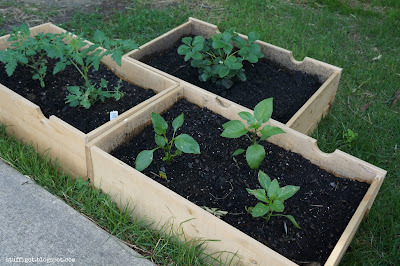 We drilled a few holes at the bottom of the drawers to help with drainage and then set out to Lowe's to buy some plants. For our container garden, we picked up tomatoes, strawberries, and peppers. 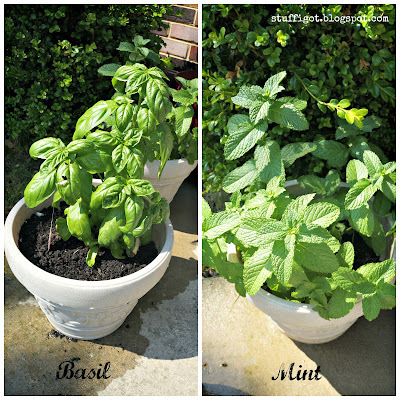 We also bought mint, basil and zucchini to grow in pots. After a week, they had already grown a good bit. Here they are, almost a month later. We had to buy a cage for our tomato plant to help support it. While we haven't had anything to harvest yet, some plants are flowering and there are even little tomatoes starting to grow. Even our basil and mint plants have gotten really big. We got to use some of the leaves yesterday when we made a Tomato, Basil and Mint salad for Father's Day (sadly, no picture of it). I can't wait to have our first harvest! I'll post pictures when we do! Do you garden? 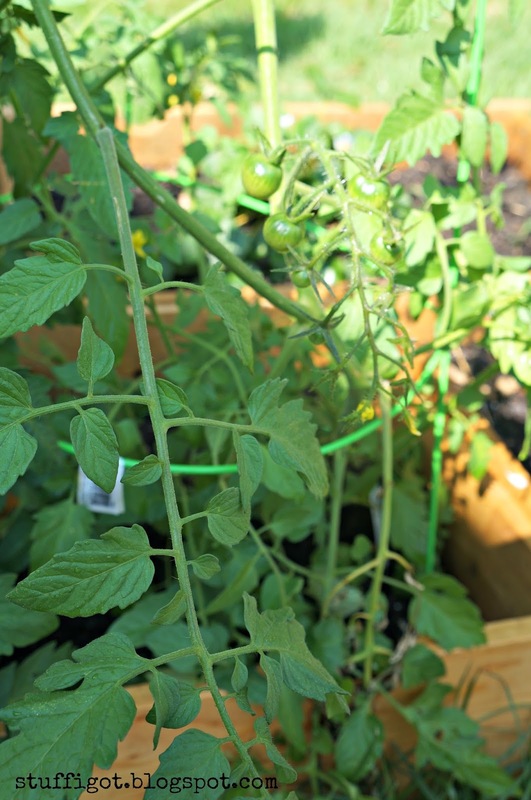 What are growing this season? 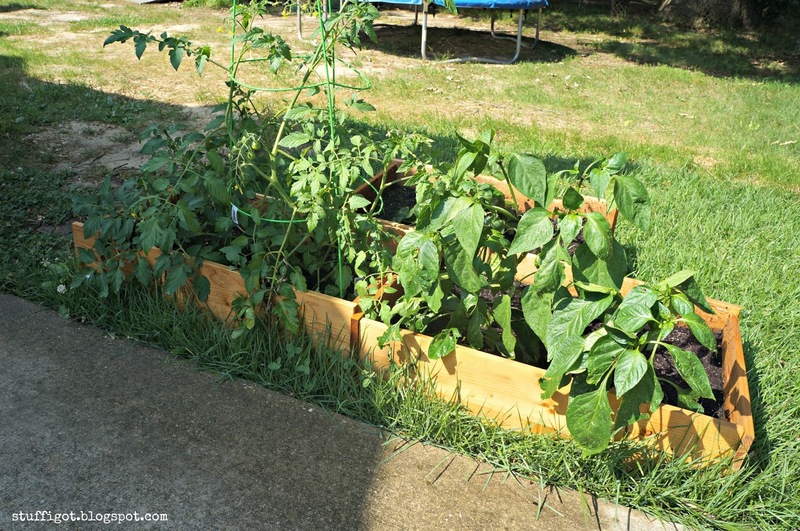 Any tips for us first time gardeners?